Indore is famous for Namkeen & Sev and APNA SWEETS One of the Most Famous Shop of INDORE so you can enjoy the Test of INDORIAN NAMKEEN & SEV. Apna Sweets use Arachis Oil to make namkeens delicious. 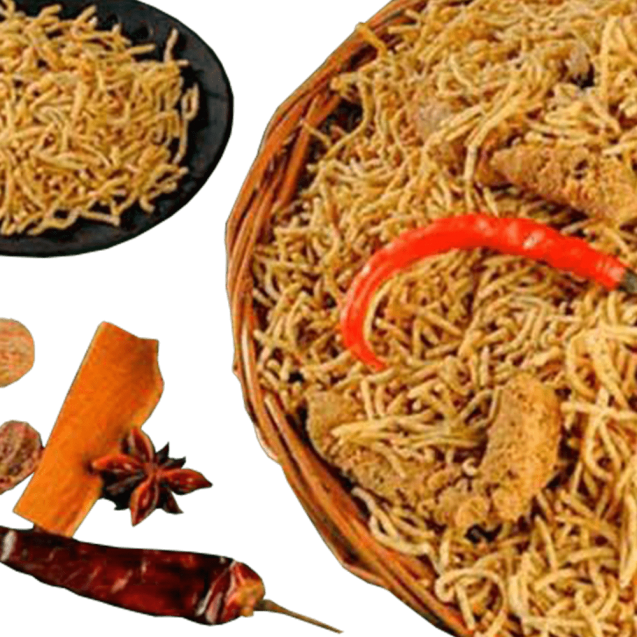 We are offering best quality of crispier Bhujia. At the time of cut-throat competition, we are providing quality product to our customers with reasonable price. Most Tasty & appetizing food among the food lovers. Processed using best ingredients under hygienic condition. Light weighted which can be consumed with hot tea. Shelf life of Bhujia is 45 days (In Special Condition). Gram Flour, Moth, Edible Vegetable Oil, Water, Iodized Salt, Carom Seed (Ajwain), Cloves (Laung), Cloves Powder (Laung Powder), Coriander (Dhaniya), Black Pepper, Cumin (Jeera), Spices & Condiments.